Another simple but elegant bangle bracelet in the Avashy brass jewellery collection. A single round stone in a lotus leaf setting of hand cast solid brass with a spiral design decorative finish. 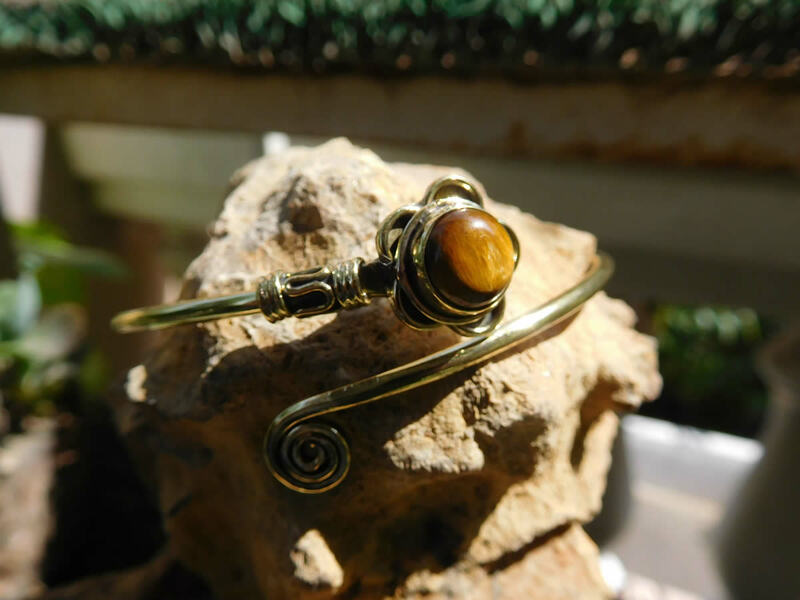 This bangle is adjustable to fit most wrist sizes.